as they need at any time during a performance. Not too little, not too much, but just enough without getting in the way. 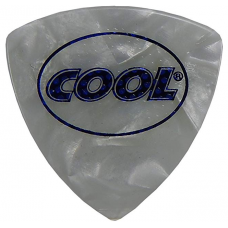 We at cool music know that no two guitarists are alike and that is why the revolutionary COOLCELL Rubberized Accu-Grip™ pick was created. It is truly a smart guitar pick. This pick design actually will change its gripping texture to give the dry, wet, or even slimy fingered guitarist the proper grip at all times. No matter how bad your flop-sweat or nerves on that special gig may be, you will not lose your pick while playing those super fast cool lead lines. If you are now playing another celluloid pick, you owe it to yourself to… “TRY THIS PICK”!!! It is important for you to realize that this pick will actually change its feel dynamically as you need it! While you play! That is, if you start playing dry and end your song or set with moist fingers the pick will get grippier as you need it. This pick’s texture is a micro-porous and slightly nubby heat sensitive rubberized compound. This patented compound mixture is applied to the pick using a special cryogenic process. 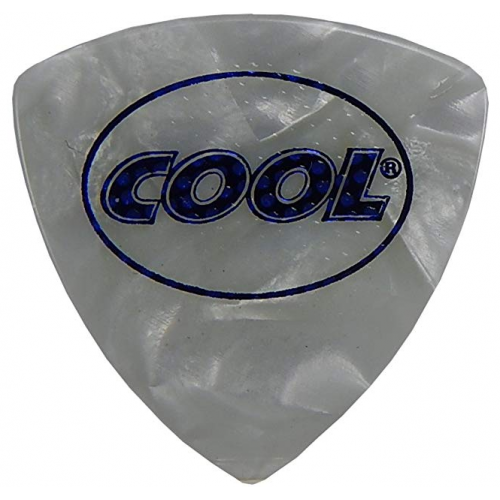 This application process allows the COOLCELL™ pick to successfully morph from a very smooth slightly nubby surface (cool environments) to a very grippy softer and stickier grip (hot or wet environments) This cryo- process allows the pick to continue to change from hot to cold and back again without distorting the nubby texture or compromising the overall sound of the pick.